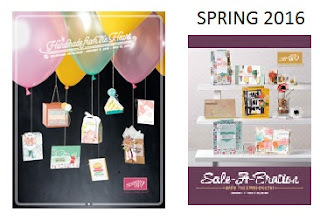 Are you looking for a quick easy gift. 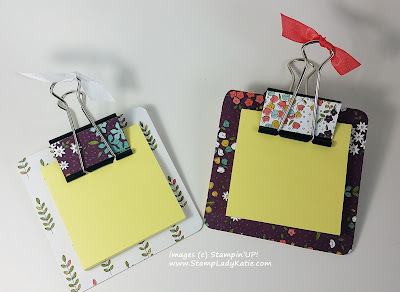 How about a post-a-note holder? Its not big and fancy, but could be just right when you need a little something to say "thanks" or "thinking of you". One of these could look very pretty sitting on a desk for those random thoughts you need to jot down or to mark a page in a book. And they're super easy to make! 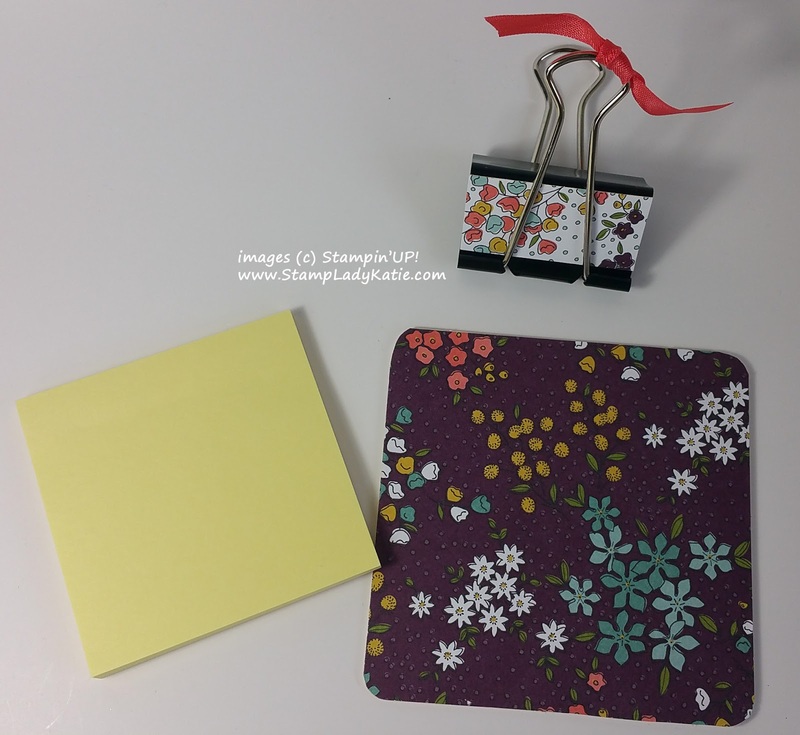 Find some pretty designer paper and coordinating ribbon and an old coaster. Just make sure you have the right adhesive. 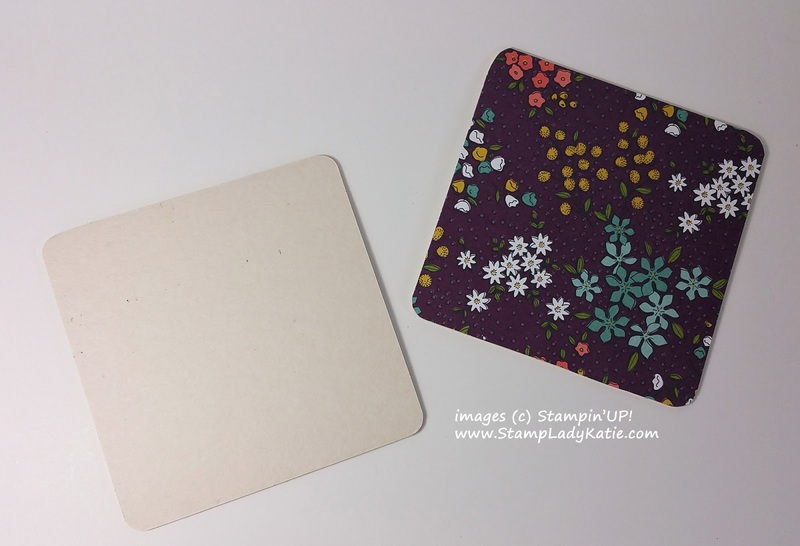 I used a glue-stick to adhere the Designer Paper to one side of a coaster. If you don't have an old coaster any piece of chip board would work. I used Tombow adhesive on the metal bulldog clip. Slip a 3x3 Post-a-note pad under the big bulldog clip and its ready to give.